Samsung has announced that it will launch its new Galaxy S III smartphone on all four US carriers — AT&T, Verizon, Sprint, T-Mobile — and US Cellular starting this month. The exact launch dates are not confirmed, and it remains unclear whether the releases will come in one block or whether one, or more, carriers will introduce the device first. The Galxy S3 will have a standard retail price of $199 but the final cost of the much anticipated Android-powered phone will be down to each carrier. US fans won’t have to wait too much longer for that detail, as Samsung says that each carrier’s pricing will be announced “in the coming weeks”. 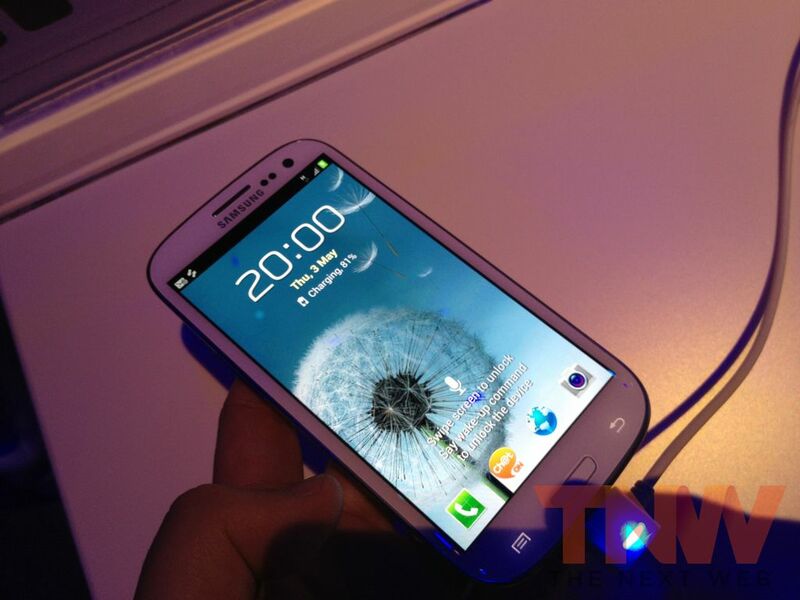 The US launch of the Galaxy S III is the most anticipated launch of the year. As promised, we are delivering the ‘next big thing’ for US customers and across all major carriers. Galaxy S III introduces new technological innovation and takes sharing to the next level. Last week, the Korean manufacturer launched the phone in 26 countries worldwide, and revealed that it will increase the number of markets to 145 worldwide by July. The phone is set to enjoy increased exposure this summer, as it is the official smartphone of the 2012 Olympic Games. Thanks to a partnership with Visa, athletes competing in the London games will not only get the device in their hands, but will be able to use it to make NFC payments across the UK’s capital city. The Galaxy S III is Samsung’s flagship offering and is tipped to compete strongly against Apple’s range, and its rumored upcoming new iPhone. The Galaxy S III’s features include a 4.8-inch Super AMOLED screen — with a 1280×720 HD display — a 1.4 GHz Exynos 4 Quad processor, 8-megapixel camera and 32GB of internal storage. The handset also showcases a range of new voice, eye-tracking and software features that make it easier to share content with friends, make calls and find new information.